Become your favorite Disney character dressed in this Minnie Mouse Dress Adult Womens Onesie. This full-body adult women’s onesie is made of 100% polyester. Soft and comfy, the adult onesie features an attached hood decorated with Minnie Mouse’s face and a red bow, a red top featuring printed white polka dots and a front zipper closure, a removable red sheer skirt, and black arms and legs with rib-knit cuffs. 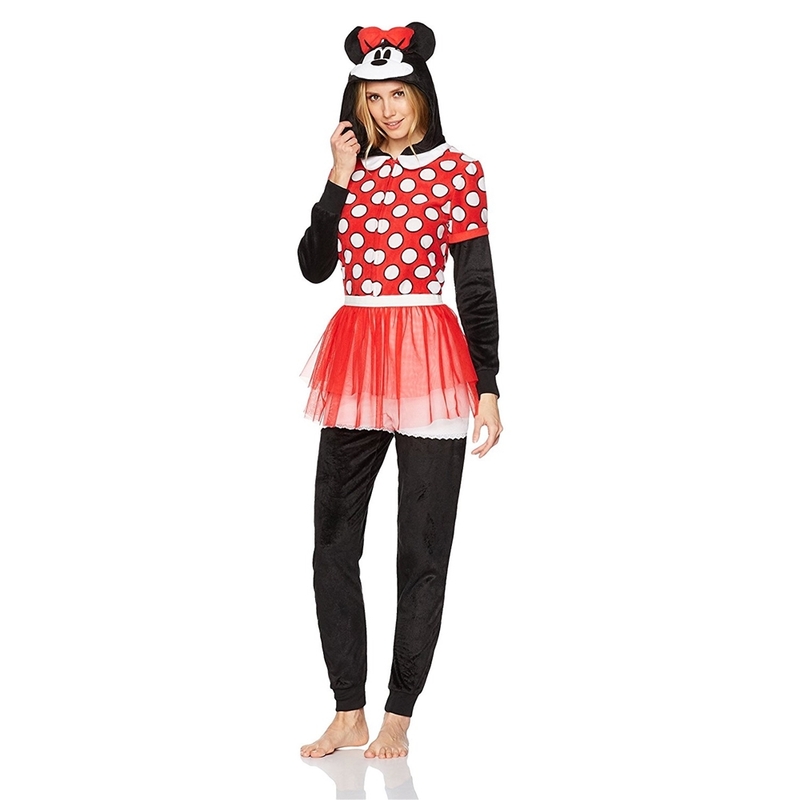 This Minnie Mouse adult onesie is a fun and easy costume for Halloween or everyday loungewear.